Horace Shepherd Folker was born at 20 Russell Square in Brighton on 17 June 1859, the fourth child of Alfred Hanley and Eliza Folker. The house was being shared with Eliza's parents. The census of 1861 shows him living at the same address with the family but his father is not present as he had left home. The 1871 census shows Horace with his older brother George boarding at a house in Primrose Hill, Kings Road, South Weald, Billericay in Essex. The house was owned by schoolmaster William Jarvis and mother Elizabeth and appears to be a private school where Horace and George were the only puils. Horace finished his educated at Brighton Grammar School. By 1881 he was living with his father and aunt Emma at 6 Lea Pale Road in the parish of Stoke in Guildford. Horace had been a founder member of Guildford Rowing Club which came into existence in either 1880 or 1883 (sources vary). He had been instrumental in securing the Duke of Albany as patron and the Arms of the Duke were borne by the club. One hundred and ten years later, this club was the oldest sporting organisation in the town, and it's boathouse was still in the same place near the Jolly Farmer public house. In recognition of his services, Horace was appointed vice-president for life. Horace joined his father as a partner in the auctioneer's business that he had started. The business was advertised in The Guildford Almanac as Messrs. Folker & Son and in 1883 was located at 64 High Street, Guildford. They advertised as Auctioneers, Valuers and Accountants, undertaking Valuations for Probate and Business Transfers. The 1884 and 1885 editions show the business as being in Guildford Chambers in North Street, and now included being Hotel Brokers and General Insurance Agents. In 1885, he was listed in Andrew's Almanac as living in Millmead Terrace, Guildford. By 1886, Horace had moved house to 1 Khartoum Villas, Artillery Terrace in Guildford where he remained for five or six years. By then he had disolved the partnership and split from his father and traded by himself from 74 High Street, Guildford. He retained ownership of the Guildford Poultry Market which his father had started in 1876. The 1887 advert showed Horace as being secretary to the West Surrey Licenced Victuallers Protection Association. By 1894, He had gone into partnership with Percy Horton, and the business became known as Folker & Horton , operating from 41 High Street. He had a close association with The Fire Brigade serving both with the Guildford Brigade and also the National Fire Brigades Union. There is a piucture of him taken in his uniform on 28 June 1888 with local dignitaries at the opening to the public of Guildford Castle Grounds. When the census was taken in 1891, Horace was still living at 1 Artillery Terrace in Guildford and employed housekeeper Sarah A Leavey. His occupation was recorded as Auctioneer & Valuer. Horace was married to Margaret Barratt on 6 June 1895 at St.Luke's church in Holloway. Margaret's father George and Horace's brother John were witnesses to the ceremony. Horace's address on the marriage certificate was given as Norton Lodge, Guildford. Their three children were all born at the family home at Stroud House in Dene Road, East Stoke, Guildford. Leonard Barratt was born on 8 September 1897, Kathleen Margaret on 18 August 1901 and Stuart Shepherd on 14 February 1905. In December 1898, along with C H Brown, Horace was elected onto Guildford Town Council at a by-election The following year, he was elected onto the East Stoke ward where he lived, then having served for three years, did not seek re-election. That same year, he was given a presentation by the West Surrey and District Licensed Victuallers Protection Association to mark their appreciation of his services as secretary.On 13 October 1899, The London Gazette reported the revision of the Electorial Boundaries of Guildford and Horace is noted as one of the three councillors appointed to Ward 4 (East Stoke). The census of 1901 shows Horace and his wife Margaret with their son Leonard at Stroud House. They have servants Jane Stroud and Ellen Creasey, the latter being aged 14. The auctioneering business expanded so that by that year an office had been opened in Godalming. There are reports in The London Gazette on various dates between 1903 and 1906 detailing companies which were being wound-up and for which Horace had been appointed as liquidator. In his capacity as Secretary of the National Fire Brigades Union, Horace received the Italian Government silver Medal of Merit at the Milan International Exhibition of 1907. Horace retired from the business in 1908 and the partnership was dissolved as reported in the London Gazette. His business partner retired the following year and was succeeded by two members of staff, Mr J H Gifford of Guildford who had been with the firm for seventeen years and Mr A E Furnell of Godalming who had fourteen years service. The business of Folker and Horton continued until about 1959, being located until the from about 1913 at 1 The Quadrant, Bridge Street, Guildford. On his retirement, Horace and Margaret moved to Wroxham , Overton Road, Sutton in Surrey. Margaret died in April 1909 and, and the following year in her memory, Horace gave Holy Trinity church in Guildford a Baptistry in which a plaque recorded the fact. He endowed for the upkeep of it's lighting. He also donated a gift of mosaic paving then later made a gift towards rewiring of the baptistry. Later that year Horace had some group family photographs taken at a studio in Sutton. In 1910, the Folker & Horton partnership handled the auction sale of land at Slyfield Green and also around that time the sale of land near Shalford destined for the construction of the Peasemarsh Estate. The census of 1911 records Horace at "Wroxham" in Overton Road, Sutton with daughter Kathleen and son Stuart. Also there are housekeeper Kate Whittle and servants Olive Brett and Rose Sheridan. On 1 January 1912, Horace was awarded the King's Police Medal in respect of his position as Secretary of the National Fire Brigades Union. He was appointed a Commander of the Most Excellent Order of the British Empire in the New Year's Honours List on 1 January 1918 for his war work, specifically as head of the Equipment Dept, Headquarters Staff of the British Red Cross Society in London. The London Gazette of 3 October 1919 records that Horace had restyled himself Horace Shepherd-Folker by Deed Poll on 13 August. In fact, his name even appears as Horace Shepherd Shepherd-Folker on occasions. He seems to have taken an interest in his ancestry to support the hyphenated name. A relative of his described him as being a nice man but a bit "posh", and thought that perhaps the public work in which he engaged may have been partly to promote his image. However, this does not detract from the obvious benevolence of much of his work. In 1921 Horace was living at "Westfield" in Cheam Road, Sutton, Surrey. When he made his Will in 1928, his address was Ashurst, Sutton Court Road, Sutton, Surrey. He was living at Charnwood in Sutton when he passed away on 18 April 1938, with his son Leonard Barrat Folker in attendance. He was buried at Highgate Cemetery on Friday 22 April, joining his wife Margaret. A lengthy and detailed obituary. appeared in The Surrey Advertiser and County Times on 23 April 1938. 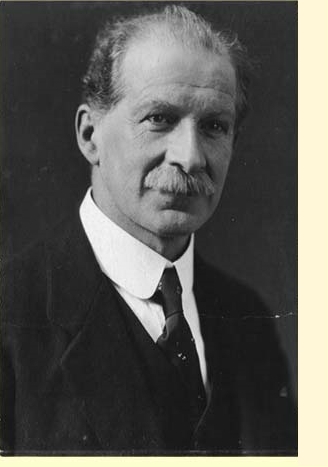 He had made his Will in 1928 which favoured his three children after making gifts to his brothers Alfred and John, his housekeeper Kate Whittle, and also the Fire Brigade Widows and Orphans Benevolent Fund.